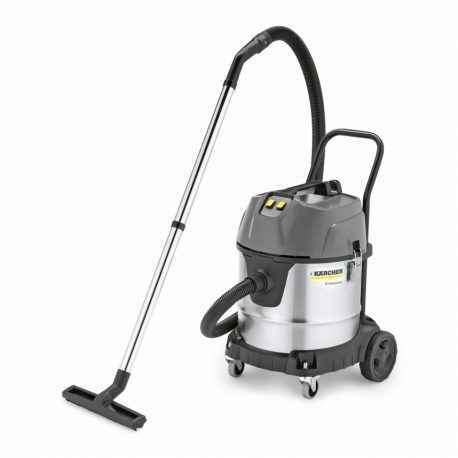 The powerful dual-motor NT 50/2 Me Classic wet and dry vacuum cleaner removes liquids, coarse dirt and dust in no time. The machine is fitted with a 50-litre container and offers excellent handling and robust quality. The standard push handle and extra robust chassis with metal castors ensure outstanding mobility. The machine features a cartridge filter and offers an Easy Service Concept. The NT 50/2 Me Classic is designed for moderate quantities of dirt.